He’s known as the Catman of North Carolina. 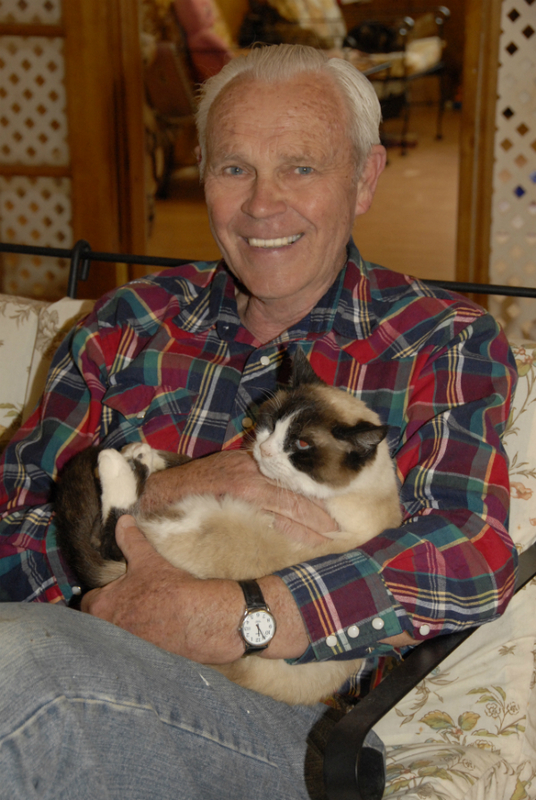 For the past 15 years Harold Sims has run a no-kill, cage-free feline sanctuary on his property in Cullowhee, but he has brought home cat collectables for even longer. Sims says he has collected feline-themed art and antiques for most of his life and has amassed an archive that includes glass work, vintage advertisements, and old fashioned windup toys. Now Sims says the time has come for him to share his capsule of cat culture with the world. He plans to launch The American Museum of the House Cat — and hopes the public can help. 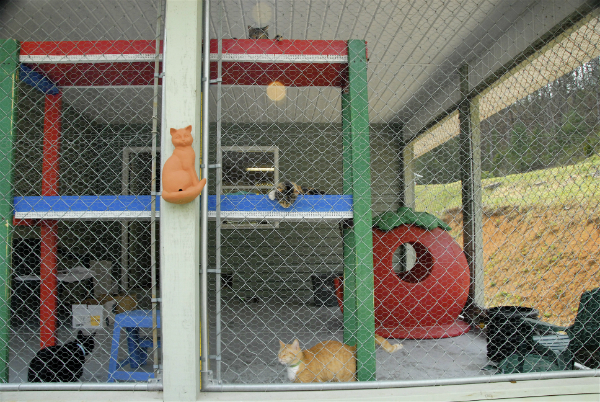 The shelter, Catman2, was the first no-kill animal shelter in Jackson County, North Carolina. According to Sims, more than 3,000 cats have come through the doors of the cage-free sanctuary over the years, and hundreds more have been helped or rehomed without spending time in the shelter. Since building Catman2 from the ground up, Sims has been a vocal advocate for cage-free sheltering. He believes healthy, fixed, adult cats should not be kept in small cages but rather have the opportunity to explore large rooms as well as climb, nap, or play as they see fit. According to Sims, many other shelters keep cats caged and separate for fear of fights breaking out, but over the years very few fights have happened at the Catman2 shelter, and not one caused injuries serious enough to require a trip to the vet. Without cages, the cats at Catman2 live in a home-like environment, and the free roaming residents aren’t the only felines to be helped by the facility. In the event of Sims’ death, the shelter will be left in the hands of its current manager and volunteers. He hopes the museum (which would be only the second cat museum in the United States) can provide some cash flow to help with the annual operating cost, which is more than $80,000. He says Catman2 is vital to keeping cat euthanasia rates low in Western North Carolina. He fears if his no-kill facility closed, a lot more cats would end up awaiting death in the county shelter. “When I’m gone, it’s gotta go on,” he says. Sims is not sure whether The American Museum of the House Cat will charge admission or simply accept donations from visitors, but he already has his location picked. After scouting out spots in Asheville and other cities, Sims settled on a more affordable spot near his home in Cullowhee. 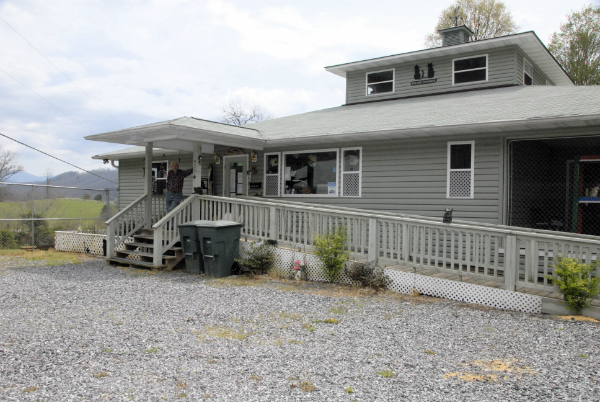 The museum is to be situated next to a well-trafficked antique mall at the gateway to the Great Smoky Mountains National Park. “It’s on a major highway. Four or five thousand cars go by every hour in the season. People are gonna stop and they’re gonna look at the museum and stay in the area,” says Sims, who is seeking donations from cat lovers to fund the proposed facility’s startup costs. “The museum will be educational, it won’t just be entertaining. It will teach people all about the cat,” he explains. The Catman envisions a self-guided tour of feline history with storyboards and showcases on topics including the role of the cat in ancient Egypt and cats as a midcentury sales gimmick. He says if the museum doesn’t start turning a profit in a year or two he will begin his plan B — liquidating the museum artifacts. He says the owner of the neighboring antique mall also runs an auction house and has the connections needed to get his cat collection in front of the right buyers. According to Sims, some of his pieces could fetch thousands of dollars at auction. Of course all proceeds from the collection would go toward the care of the shelter cats at Catman2. “The cats win now or the cats win later,” Sims says. For more information or to donate to The American Museum of the House Cat, visit the Catman2 website.